The State Historical Museum is the largest historical museum in Russia. 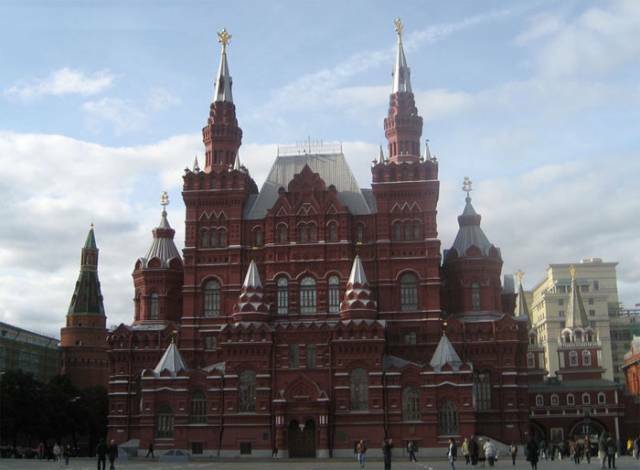 Building of Historical Museum is located in the center of Moscow on the Red Square near the Moscow Kremlin. The museum building was built in 1875-1881 years specifically to house the museum's collections. This is one of the most prominent buildings on the square. Read more about Historical Museum in Moscow.